Agency finds no misconduct in three-million-gallon spill. 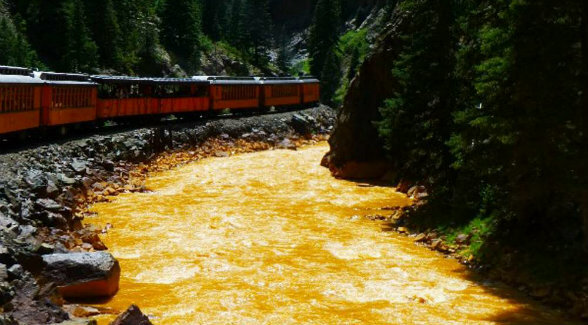 The Office of the Inspector General (OIG) of the Environmental Protection Agency (EPA) concluded no wrongdoing was associated with an EPA-led team that triggered the Gold King Mine spill and sent three million gallons of toxic wastewater into the Animas River watershed in August 2015. The toxic plume stained its way from Southern Colorado through the Navajo Nation in New Mexico and into Utah where traces were deposited in Lake Powell. Since the agency had no rules in place for dealing with conditions encountered at the mine, the contractor employed by the agency was not required to conduct pressure testing. In addition, the EPA previously concluded it couldn’t legally pay any of the $1.2 billion in compensation sought by claimants. Prior to the spill, the Gold King Mine was leaking approximately 200 gallons of toxic wastewater per minute. This nonstop leak generated the same amount of toxic spillage as the Gold King Mine spill – three million gallons – every 10 days.